Outsourcing from Ukraine | Web development at $25/hr. We are committed to working closely with companies based on the outsourcing model. We are focused on technologies we are good at and improving our knowledge constantly. creation, support and development of the site. The main odjective of the site concept is to formulate the basic ideas and hypotheses of the future site. After it should be modeling the site - a synthesis of ideas and develop solutions. 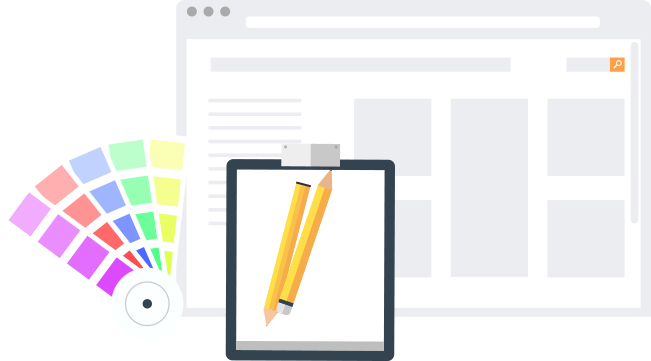 Our company develops different types of websites. We use the best Content Management Systems (CMS) and technologies. We can implement all problem in you business processes. 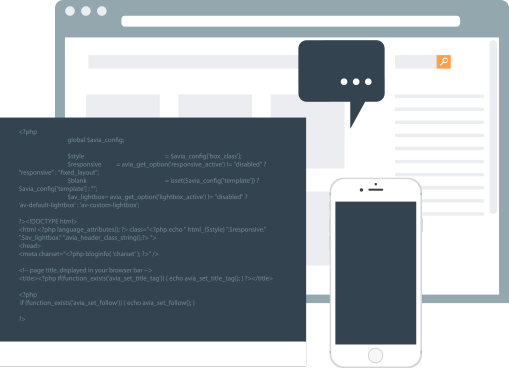 We develops functionality and quickly web applications for business. 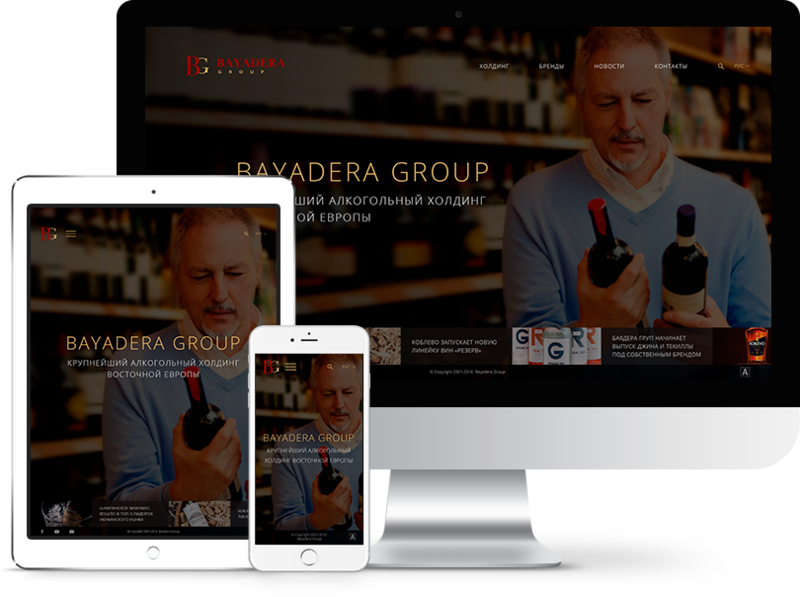 Bayadera Gruop is one of largest spirits holdings in Eastern Europe.It has a strong portfolio of own domestic and imported brands,which has been formed in consideration of consumer’s preferences and regional characteristics in all categories of alcoholic beverages. 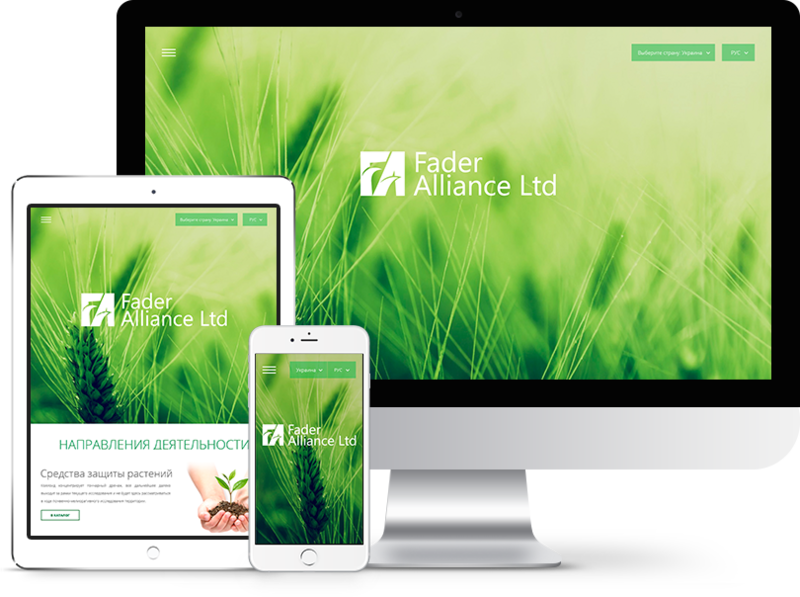 Fader Alliance Ltd. is the leading company-manufacturer of plant protection products and fertilizers. The main activity of the company - customers from CIS countries the European high quality products for crop protection. 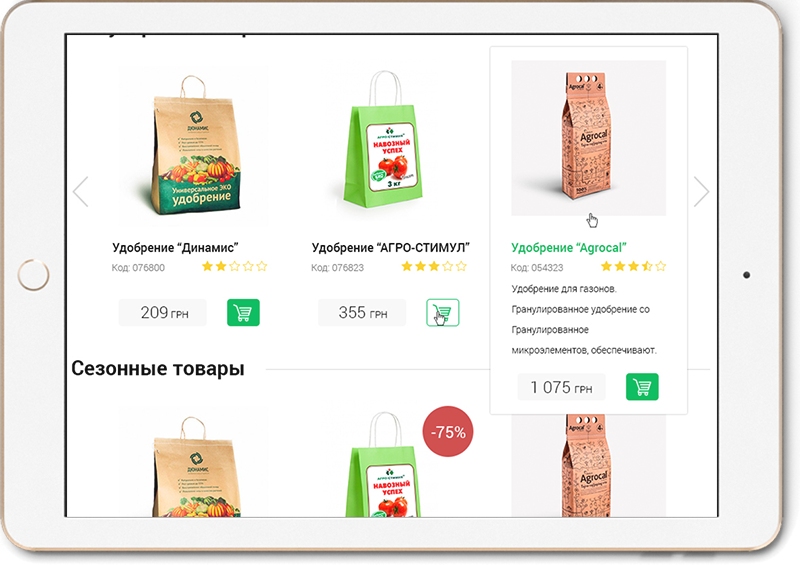 The company dynamically goes forward in the agricultural market of Europe. Combining modern design with traditional techniques, Nataliya Couture have created a stunning range of luxury evening and occasional dresses for stylish women. Nataliya Couture believe that every woman should own a fabulous evening dress that makes them look and feel beautiful. DJ Da Candy is The Hottest International Female DJ, model, MC, dancer. The entertainer, who burns up the dance floors all over the world. Mashing up electro, house, pop, hip hop, dub step, dirty house in her sets with her microphone skills - Da Candy makes real fire on the stage and the hottest performance. 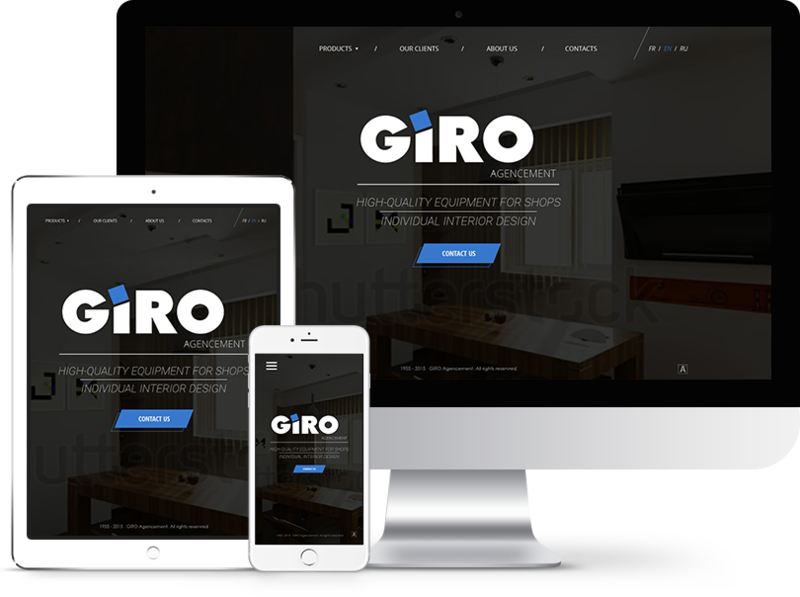 Giro Agencement have been producing high quality equipment for shopping centers and department stores with world fame (Galeries Lafayettes, Printemps, BHV) for 50 years. The company specialize in individually designed interiors for shops, hotels, hospitals, apartments, museums, banks, airports. 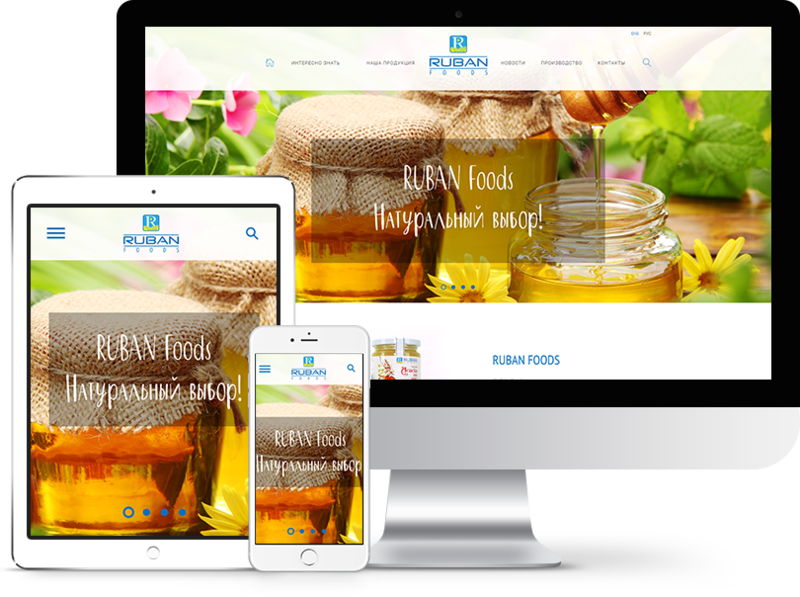 RUBAN Foods was founded by a team of initiative and qualified specialists. From the very beginning of our development we considered it our priority to satisfy the demand in healthy and useful food in the best way possible. For this reason our slogan is Natural choice! 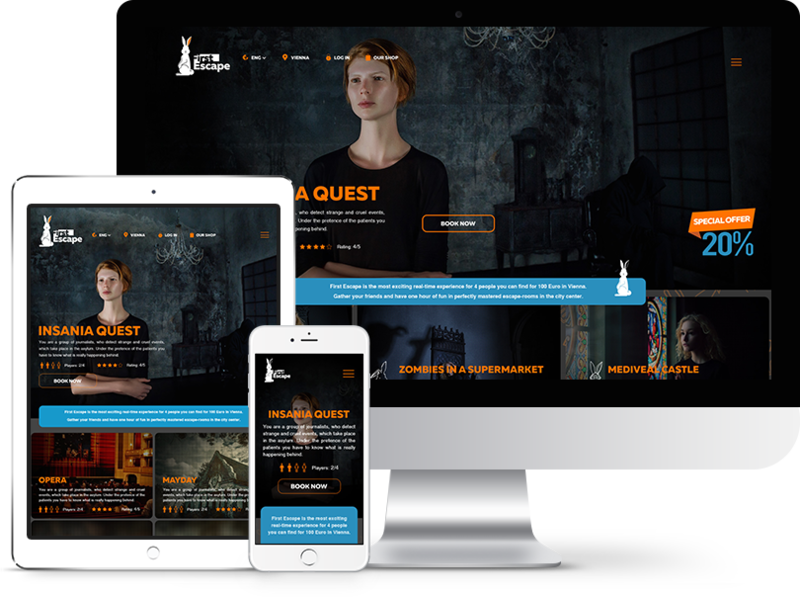 A quest is a collective game, which means it is perfect for corporate evenings, group team buildings and other meetings of colleagues and employees. The First Escape team will do its best to hold your corporate event at the top level so that you leave us overwhelmed with impressions. LEDO is a young supermarket chain with international cuisine. LEDO is represented in several cities in Germany. LEDO has a great variety of foodstuffs. LEDO's customers have benefits from a discount of the Gerabo card. They can check their benefits and gifts on a website and make the order. In a world full of fuss and surprises, we decided to create a reliable companion for your travels. Nothing can interfere with your plans and every trip will become fascinating and safe for you and your car. 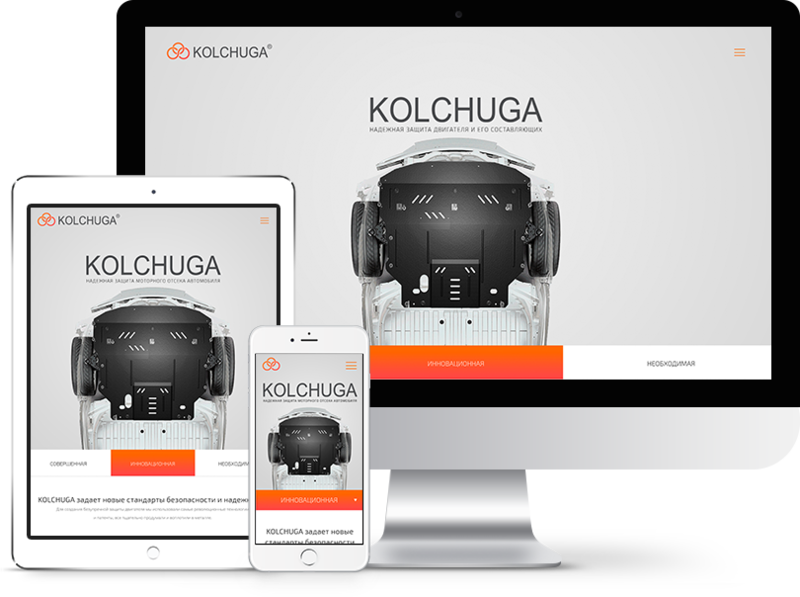 TM "Kolchuga" is the national leader in the production of steel protection systems for the engine compartment. 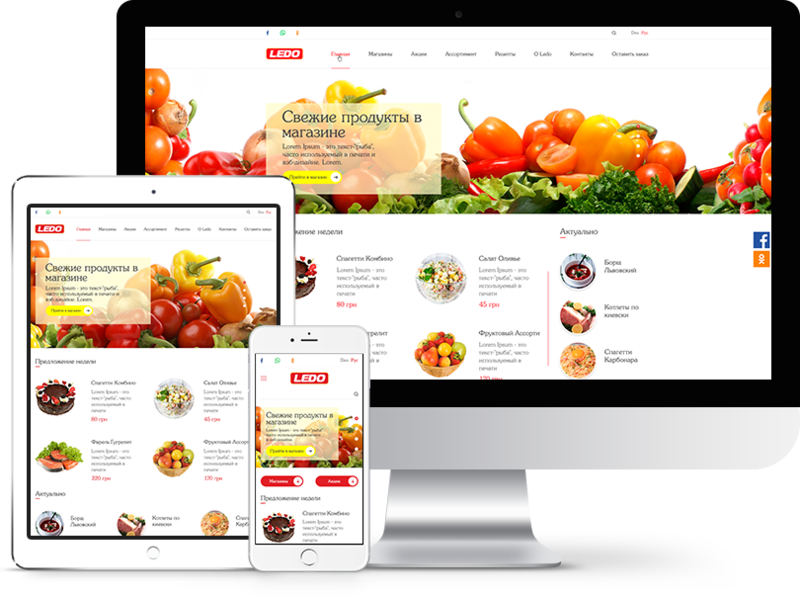 Web Studio based in Kiev, Ukraine. 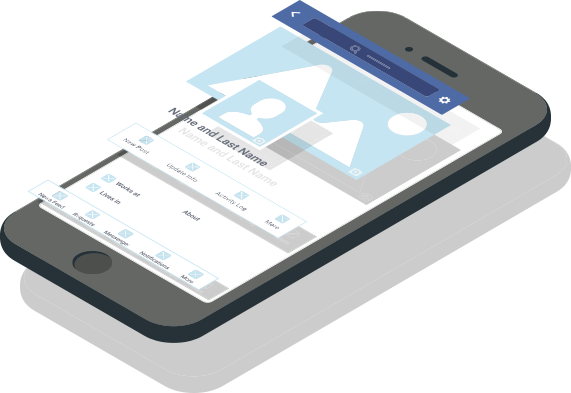 Our team specialises in developing websites, mobile apps and CRM systems. Upon signing a partnership agreement with us, you will have a reliable partner that can offer a comprehensive approach to clients. In addition, you will make an extra profit. We are a company that has already won the trust and we look forward to a long cooperation with you. Outsourcing is a modern method of the effective achievement of the set goals. The globalisation modern rates make the business to look for effective ways to solve the tasks assigned to it by creating a better product, providing service provided that its value is reduced. In addition thereto, it is necessary to do this within a very short period of time. Outsourcing is aimed to assist in these situations. Many companies have experienced the advantages of this practice: there is no need to recruit employees to solve secondary problems and it is easier and more profitable to instruct them to outsource professional performers. After all, experts will cope with them much faster and better. If you want to make sure of this fact on personal experience - we invite you to cooperate in the sphere of software outsourcing and site development. Why should you choose our Company? We work on the final result, and our strengths are confirmed by positive feedback from numerous clients: In our work we use proven the modern methods aimed at effectiveness. Our team provides only unique designs. Complexity is a trifle for us, and we work with tasks of any level. When performing the task, the NDA is strictly complied with and the relevant standards aimed at protecting the intellectual and material property of customers. All projects are brought to the launch without disruptions due to our fault. In our team there are no remote or freelancing employees, so the workflow is clearly established. We have loyal rates for both specialists of this level, as it is important for us to provide better conditions for cooperation. This also determines our partner approach to projects. Cooperation is based on contracts, which stipulate the basic subtle aspects in order to avoid future misunderstandings. Who are customers? We are keeping an active international practice of web development outsourcing. 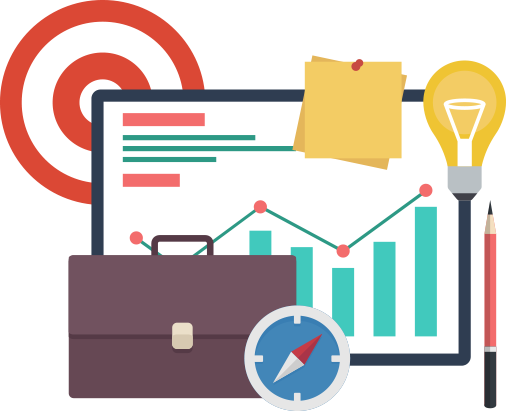 Among our customers you can see: advertising and PR-agencies; SEO companies and promotion specialists; hosting and consulting companies. This list is constantly being increased, including due to positive recommendations from our regular customers. We appreciate their trust and appreciation of our work, so we are always ready to provide them with unique conditions for cooperation. If you want to replenish their ranks and take advantage of high-quality software outsourcing services, contact us for a more detailed discussion of the future cooperation.